Our Internet Marketing Campaigns dominate other Marketing Campaigns, making them look outdated! We focus on the details with SEO (Search Engine Optimization). When it comes to a proper SEO campaign, there are hundreds of variable that come into play, over 200 to be exact. A good SEO company in El Dorado Hills or the greater Sacramento area should take pride in your business, your brand, and your brand engagement. This is something you can’t even find in some employees these days. Front Street Media will care about your business like it was our own when we are running an SEO campaign for your company. Front Street Media is located in El Dorado Hills and we have developed countless SEO Marketing Campaigns, eCommerce SEO Campaigns, SEO Link-Building Campaigns, SEO Content Writing Campaigns and basic SEO foundation set-ups. If your company is looking for a guarantee, your company should keep looking because you will not find it here. There is no guarantee when it comes to a well-managed SEO Campaign. All you can hope for is that the SEO company you hire has a good track record, solid references and can prove their current rankings for competitive industries. We offer inbound marketing and content marketing strategies for local companies in the El Dorado Hills and Greater Sacramento area. We also offer a wide variety of SEO Training Classes in El Dorado Hills so if you would like to do it on your own, that’s great.. we can help! We have run El Dorado Hills SEO Campaigns and Folsom SEO Campaigns since 2005. 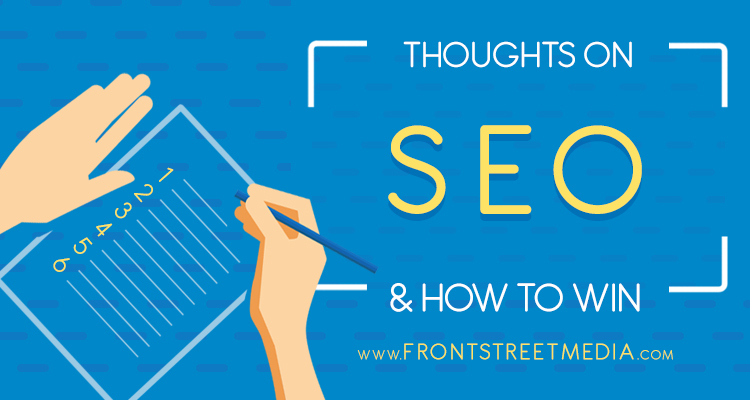 If you are considering an SEO company that works for you and understands your needs as a local business owner, choose the Front Street Media. Our SEO (Search Engine Optimization) team will grow to love your companies brand, treat it like our own and perform real SEO services that many other SEO companies flat out won’t. We will dominate your competition and supersede your expectations (well at least that’s what our clients say). Give us a call and learn more about our certified team of SEO experts today. Who is Front Street Media? The Front Street Media SEO team in El Dorado Hills and the greater Sacramento area is composed of true naturals when it comes to marketing strategy and planning. Our Search Engine Optimization team looks at Search Engine Optimization just like the Search Engines do. We do not just do SEO, we build multiple aggressive marketing campaigns that surround your business services and products. Contact our team today to understand the true benefits of internet marketing and let’s take your business to the next level! First, what we do is launch specific campaigns and content marketing strategies for cities in the Sacramento area that are close to your initial target market. Then we start developing additional content campaigns in the surrounding cities focused on your industry. Content Marketing Campaigns: Depending on where your business is located and what keywords you are looking to rank for, we would start content marketing campaigns for many cities. Whether you are located in Folsom, El Dorado Hills, Roseville, Rocklin, Granite Bay or Cameron Park, Front Street Media can help rank your local business. Targeting Multiple Cities in Sacramento? We target all areas surrounding the Sacramento area or wherever your business is looking to rank. However, if you have a new website and a fresh brand identity in the search engines eyes, it will take much long to rank as opposed to an established business. Laying the Best Foundation Possible! We lay a strong foundation on local El Dorado Hills/ Sacramento directories and we also have strong relationships with many local news websites. Choosing an El Dorado Hills SEO company that has connections with other online ventures is key in attaining the right backlinks to boost your websites PA and DA or Page Authority and Domain Authority. Being realistic with Optimization. Every SEO campaign is different and not all results will be the same. 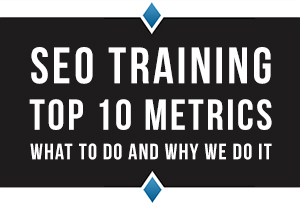 If you are looking to rank #1 for 20 cities and 500 keywords, sorry, we are not that company. We are a company that is realistic and we expect you to be realistic as well with your online goals. If your budget is 1,000,000.00 a month and you want to rank #1 organically for the word “Insurance” – we would not be a good fit for your business. We have no contract and you can cancel anytime you want. It’s our promise to you, that we will build your business, your brand, and your overall identity online. Search Engine Optimization Campaigns or Internet Marketing Campaigns in Sacramento, Folsom, Roseville, Rocklin, etc take some time to get going. Any given SEO campaign takes anywhere from three to six months to mature and in aggressive markets, sometimes over a year. It does not happen overnight, so you have to be patient while the search engines develop trust in your business. If you can’t dedicate at least 6 months to a year to hiring an SEO Marketing Company, you shouldn’t even bother. It’s a dedication to being patient and persistent with an SEO strategy that makes the difference between company that dominate their competition and a company that merely gets by. It takes time for google’s search algorithms to look at your website and decide on whether or not your website is important and relevant. This is google’s purpose; to deliver relevant and important results to search queries. And thus, Front Street Media’s purpose as a professional marketing and SEO company derived from Google’s purpose. Our purpose is to make your website relevant and important, in the eyes of google and potential customers. Search engines are not too different. Search engines need to get to know the website, they need to see that they are posting frequent and relevant content. They need to see that the website has a good design (based on user behavior). 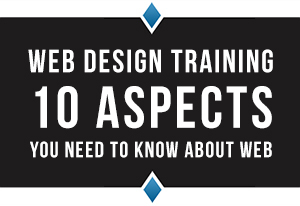 They also now look at the websites to see if they are mobile responsive. That’s why, when doing SEO in Sacramento, Folsom, Roseville, El Dorado Hills, Etc takes time. The Search Engine Marketing Experts in El Dorado Hills and Sacramento are Here! Call us today and find out how we can set up an unstoppable search engine marketing campaigns in Folsom for your business today! For each Search Engine Optimization campaign to be managed, we have provided the high-level strategic priorities to be used for each channel. These components would be further developed during the Search Engine Optimization strategy and planning phase of this program (immediately upon engagement). Are you using an Inbound Strategy? 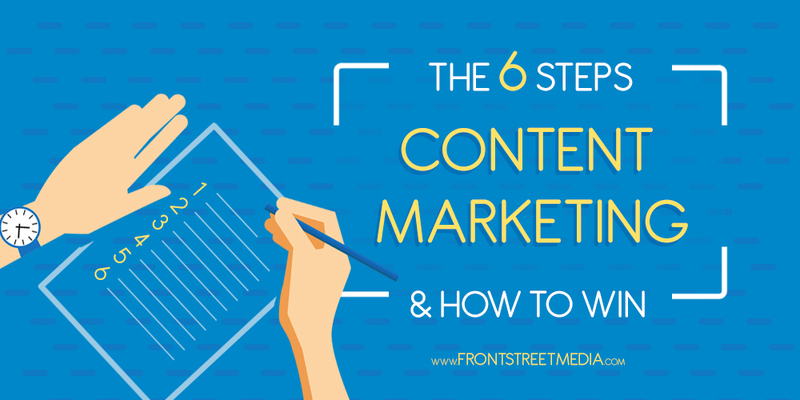 Have a Content Marketing Strategy?